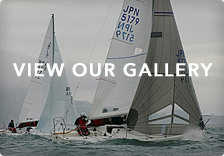 Well the sailing season is upon us so it’s time to update you with a few pieces of news…. The UK class has agreed to pay the launching and berthing fees of all visiting boats so all we need to pay to sign up is our entry form…. This is set at £55 until Monday 14th April (next Monday) and £100 thereafter. I’m sure you all agree that you won’t get a better price to be able to enter a really fun event, supported by the yacht clubs of Poole and with a great social programme to add to the time off the water. Our race officer has just returned from the US Midwinters and has plenty of experience of looking after competitive J/24 fleets so it should be a great event. Please make use of the reduced entry fee and get your forms in now (copy attached) so we can make this a great event. We have been requested our list of nominated teams for the 2014 Worlds, if you would like to be considered as one of the UK teams please let me know. 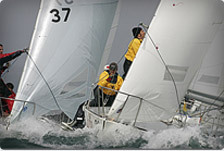 The Fowey Trophy is upon us in a fortnight with the Spring Cup 2 weeks later. All the details for the Fowey trophy are in the fixtures section with the Plymouth details to be upoaded shortly – though for visitors we will be launching as usual from Yacht Haven Quay and racing will be run from the RWYC. Again please make sure you support these events if you can…. If you have anything you would like to tell the class or have been to an event / are running one that we would be interested in please let me know, it would be great to have some news from within the fleet to help raise awareness of how much good sailing we hav going on. Finally as you may all know I am stepping down as class secretary at the nationals this year. If you want to support the class and would be willing to write the odd email to chase teams and remind them of what is coming up please let me know – it would be great to have someone to hand over to rather that always rely on the few.